See how the one on the left is much darker ? and then as you move your eyes across to the right there slowly is more light in each scene ? The exposure times for these images from left to right are 2 seconds, 4s, 8s, 16s, and 30s. If you see the pattern the time is doubled in each consequent frame in the series and this is how the camera algorithm works. In HDR we label these subsequent exposures -2, -1, 0, +1 and +2 as this is their EV (Exposure Value) and its that value from the correct exposure, the (0) exposure. Well that is the trick we use to make HDR images and the most important part is that we keep the camera very still and that is another reason why we use a tripod. If we bumped the tripod, for example, we would have start the sequence again and sometimes the one frame in the sequence takes 30 seconds to shoot. This particular case was difficult because I wanted to show that there were all these interesting textures on the roof and big wet boulders in the foreground as well as showing the depth and detail of the forest outside. You could say this had a HUGE dynamic range 🙂 So what I did, was a little trick where I made two tonemapped versions, one dark and one light. I do this on the odd occasion when I can’t get enough out of one. You can see that the two versions are completely different and this is because a programs like Photomatix have a large variety of options that allow users to make the image exactly how they like it. Sometimes, on occasions like this, you can make two copies of the tonemap but it is very rare you get a scene with such a large dynamic range as this one. Essentially what I did was make one for the outside and the other is for the interior of the cave. This part of the process is done in Photoshop and its where you Layer all of the images on top each other and apply a mask on them one at time. The mask allows us to reveal the layer underneath it using a brush where we specify the opacity. So painting across the top image with a 40% opacity brush removes 40% of the top image and essentially allows 40% of the layer beneath to ‘shine’ through. By manually adjusting our brush we can go around the composition painting in any opacity from 1-100% and that’s how we selective mask in the layers from the original images. You can see I have labelled the images in the above panel to show you how the layering works and I would go through and mask in each layer. It may look confusing but think of this panel as a stack of books with the top book being “tonemapped 1”. We can only work on 2 Layers at a time when we are masking so the start of the process involves only working with the Layers “tonemapped 1” and “tonemapped 2”. Once I have finished with those layers I collapse them together and I will be left with 6 layers instead of 7. I then work with the top 2 layers again which would be tonemapped 1 and the -2 layers and when I finish with them I combined them together and would have 5 layers left, and so on until I am left with 1 single Layer. The point of working this way is so that we have greater control of the amount of light in individual areas of the composition. This means we can create an image closer to the look of the actual scene that we remember being a part of. Have you ever found after you take a photo it ends up looking nothing like the actual scene ? Camera’s are great tools but they don’t work in the same way our eyes do and that is why your photos don’t turn out like how you remember it. They are machines ! We have to add some creative changes to the images to help them bring our memories to life. The next part of the process is only limited to your imagination and software. There are many Filter programs out there and they are essentially a quick way of recreating workflows that you could do in photoshop if you had the time but instead we can apply them at the click of a button. Filters save you time and hence money but the most powerful thing about them has become their ability to suggest creative adjustments to you that you might not have thought of. OnOne’s Perfect Effects 4- On1 Photo – has over 450 different filters in its software. 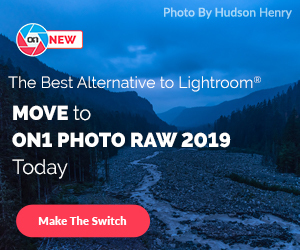 Topaz Adjust 5- Topaz -(15% off all Topaz products use discount code LukeZemePhotography) has some amazing filters for HDR photography and is very adjustable for individual use. It has a slider for a slider ! if you know what I mean. It’s best to own a variety of these programs as they all vary slightly in the way they will treat your images. I personally used Perfect Effects and Colour Efex Pro 4 in this image. I also used NIK sharpener software. For a FULL list of HDR and Filter programs I have created a comprehensive list of software here at this link as there are lots to choose from. Some of them I have contacted the authors of the programs and they have agreed to offer discounts to my readers. This part of the workflow is important and you don’t have to apply the the noise removal software to the entire image. You can mask in a noise reduction Layer into your image and just remove noise in selective areas of it and therefore and can keep the sharpness in other areas you want to be sharp. I made some changes in Photoshop to this image such as spot removal which is just removing dirty marks in the image which could be on the camera sensor or maybe just a by-product from the HDR process. I sometimes also do a luminosity mask in photoshop as well. You could manually adjust colour or take the image into Camera RAW to remove chromatic aberrations. Camera RAW is a very powerful tool and you can do LOTS in it and I strongly advise that you start playing around in it if you want to get more into photography. It comes with Photoshop CS6 automatically and can be opened from bridge too. You can also take your image into Lightroom and make adjustments there. One other thing which is important is as well is to crop the image and straighten horizons and/or buildings and I wrote a video tutorial on that recently. Once finished you just have to save your image in the format for uploading to the web, your printer or your online gallery. JPEG is a really common one used and I recommend that but you can also save your image in multiple formats. I like to save a TIFF version of my image so that I can come back and work on it later if need be. I also save multiple sized JPEG’s to upload on the various sites where I post my work such as Facebook, Google+, Flickr and 500px. There are other things to consider during shooting and processing such as the colour workspace, ISO and aperture choice for example but I didn’t want this to be too complicated as I wanted to bring HDR to people who might not know much about it.